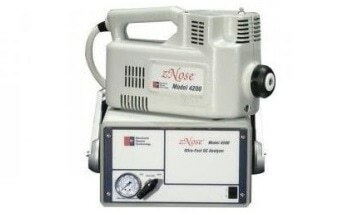 Model 4600 is a Computer Integrated zNose® that offers ultrafast analysis and is ultra-flexible. It is the only mobile, small footprint analyzer available in the market that can detect and examine accurately organic, chemical, and biological compounds in real time. 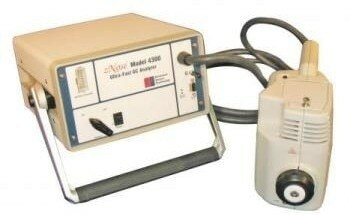 Model 4600 is the first and only analyzer with a fully in-built computer to perform all tests in the field without the need for an external laptop computer. It has impressive speed and uses a built-in processor to guide the user. Since it is portable, Model 4600 can analyze in real time, thus significantly reducing product changeover time to a fraction of what it currently is. Model 4600 can prevent homeland security threats by detecting odors and chemical vapors produced by chemical weapons, biological weapons and explosives. It identifies the odor of chemical compounds, fragrances, fuels etc. to detect contamination with parts-per-trillion sensitivity. The Model 4600 controls the level of unsafe emissions in the atmosphere with real-time analysis of odors in water, air and soil. 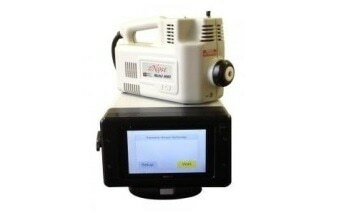 It can perform fast analysis of odor and aromatic signatures of living organisms with full chemical profile. The Model 4600 performs quantitative and qualitative analysis of food aroma and beverage quality check. It tests the chemical composition of urine, blood, and body fluids with precision and speed. 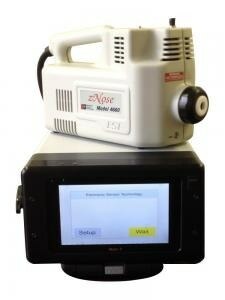 The zNose® range of products employs leading ultra-fast gas chromatography and surface acoustic wave technologies. Its application involves a simple three-step procedure that quantifies any type of odor within a minute with precision, accuracy, and speed.